Valentine’s Day will be here before we know it! If you are in a relationship, and want to show your love, this is a great time to do it. But, it can get pretty expensive, if you aren’t careful. Here are some great ways to show your love this Valentine’s Day that won’t break the bank. For those of us who don’t like to sit still, and want our holiday to have some action related component, there are a few great options. Not only can doing something exercise related be cost-effective, but it can also release endorphins, which helps strengthen your bond together. Races seem to have become more and more popularized in the past 10 years or so. Some of them are even themed for Valentine’s Day! More often than not, these races are 5k races, which is plenty of time to release the endorphins and work up a sweat. The price varies by race, but the range is usually somewhere around $30 – $40 per person. Not only that, but a lot of the Valentine’s Day themed races are for charities. So your entrance fee is really a donation to a good cause. What could make you feel better than that as a couple? Another option is to plan a hike with your loved one, preferably on a trail less traveled. The quieter the trail, the higher the possibility of it being a more romantic hike. Adding some of these options into the mix, coupled with the fresh air and exercise from hiking, and you have a winning combo. Do you remember your younger self when you just began to date? Some of the best places to go when we were all younger were the skating rinks, ice or otherwise. Not only did you get to show off your fantastic skating skills, but you might be lucky enough to hold hands with the person you were dating. Most of the rinks also intermix some slower songs in, and lower the lights, to make it more romantic for the couples to skate to. Reliving this time in your life could really help bring some of the childhood play and romance back. And on top of that, hopefully a bit of laughter; which just also happens to release endorphins. Skating rinks can cost as little as $5 per person to get in, plus the skate rental. This option can not only help you save money, but it gives you a great reason to act like a child again, just let go, and have some fun. You get to hold hands, talk, reconnect and try to skate, all while trying to stay balanced. What better love connection could you ask for? As a bonus, if ice skating is the way you choose to go, then the opportunity to snuggle with each other over a cup of hot chocolate at the rink may arise. 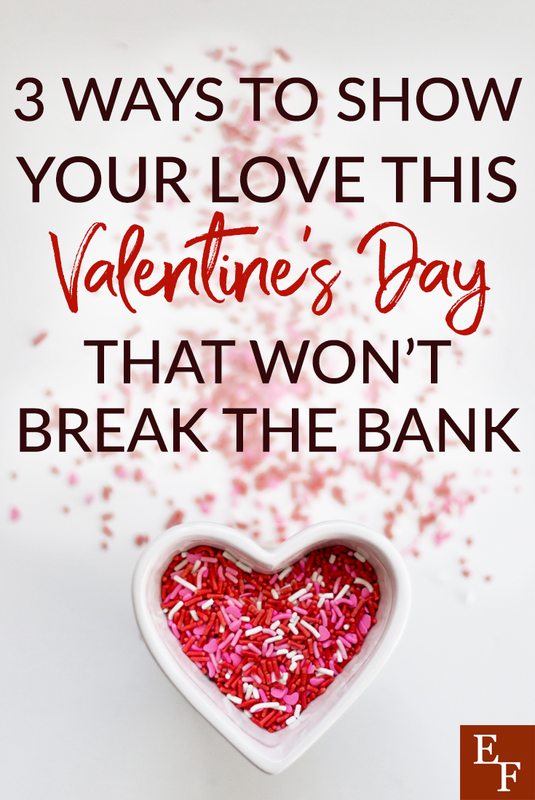 Since the whole point of this holiday is to show your partner how much you love them, while continuing to increase your romantic connection with each other, then this option can definitely be a winner! Learning a new skill together creates more memories, which only increases your romantic connection. One of the best, and sometimes easiest ways to do this, is through food. There are quite a few ways you can approach this, and they all come with different price tags. If you are going for spontaneity, this one may not be the best option for you. This is due to the fact that chefs offering private couples classes will need notice. They also usually try to gear the meal towards your likes and dislikes, so there is some planning involved. There are quite a few chefs that will also offer a wine or craft cocktail pairing with the dinner. One of the best places we have found to search for these types of things in our area is Airbnb Experiences. Depending on where you are at, these dinners can range from $30 – $50 per person. While this isn’t as budget friendly as some of the other options, it is combining an experience with food, and possibly adult beverages, so the cost is pretty low when you look at it from that perspective. Plus, it is a different twist on going out to dinner, which a lot of couples love! There are a lot of places across the U.S. that sell cookware and also have a teaching kitchen to hold cooking classes. A couple of the most prominent establishments in our area are Whisk and Sur La Table. Quite a few of these classes, especially in February, are geared towards couples and date nights. You can meet with other couples, and possibly make some new friends along the way, while you sip wine and watch the chefs cook. Depending on your level of expertise, there are some classes that require more involvement. So if you are looking to increase your knife skills, how to use certain tools or just overall kitchen adeptness, then this may be a great option for you. This option is better suited for couples that like to spend time out and socialize, but also want to learn a new skill or two while eating some tasty food. The price ranges for these vary fairly widely for these classes, depending on the location, and what the class has to offer. The other option is to have a personal chef come to your house and teach you to cook a romantic dish as a couple. You get to use your own cookware and dishes in the comfort of your own home. Personal chefs clean up after the cooking is done, while you and your significant other enjoy the romantic meal. Then, they quietly slip out to let you enjoy the rest of the meal alone. This is a great option for anybody who prefers to spend a little bit more alone time and also doesn’t want to do the dishes. The pricing for a personal chef varies, as well, depending on whether or not you provide the food or the chef needs to bring all of the ingredients. Whatever you choose to do to show your love, make sure that it is something that is special for both of you. Remember to think about what makes them happy and feel special, but also doesn’t have to break the bank. Get creative! When they see the effort that you put into the day to show them just how much you care, it can only increase your romantic bond, all the while without breaking your budget. What are some ways you have shown your love on Valentine’s Day that didn’t break the bank?